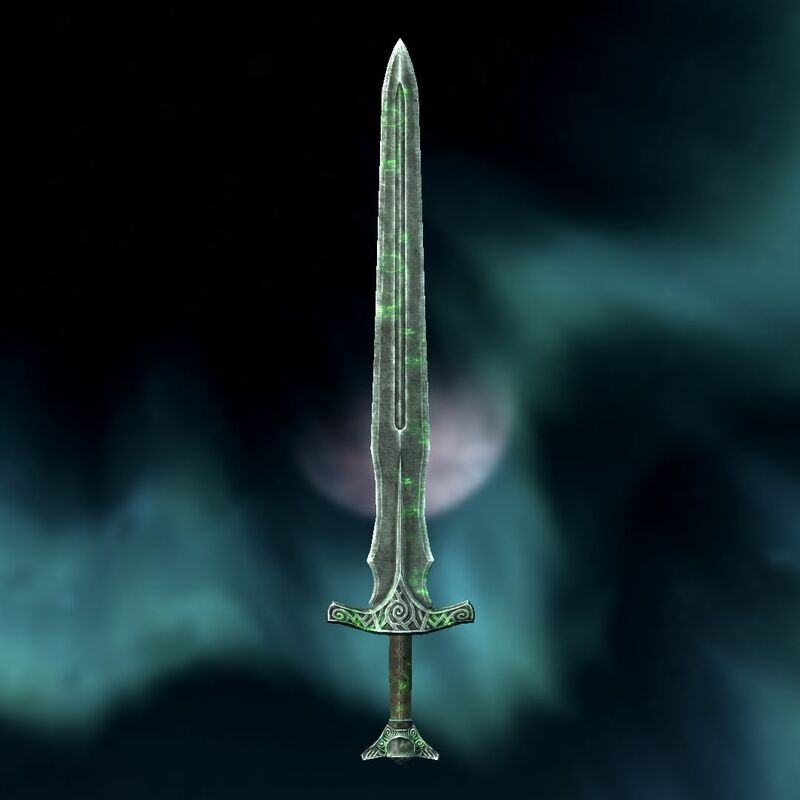 It shouldn't be a surprise to anyone familiar with the series this site is dedicated to when I say that Elder Scrolls games have a lot of items. How many? Well, enough that we don't even give a second thought to the majority of them. When you have several hundred of any type of item to consider, the distinct traits of specific items become unimportant. Even in a small set of items, the redundancies begin building up rapidly. 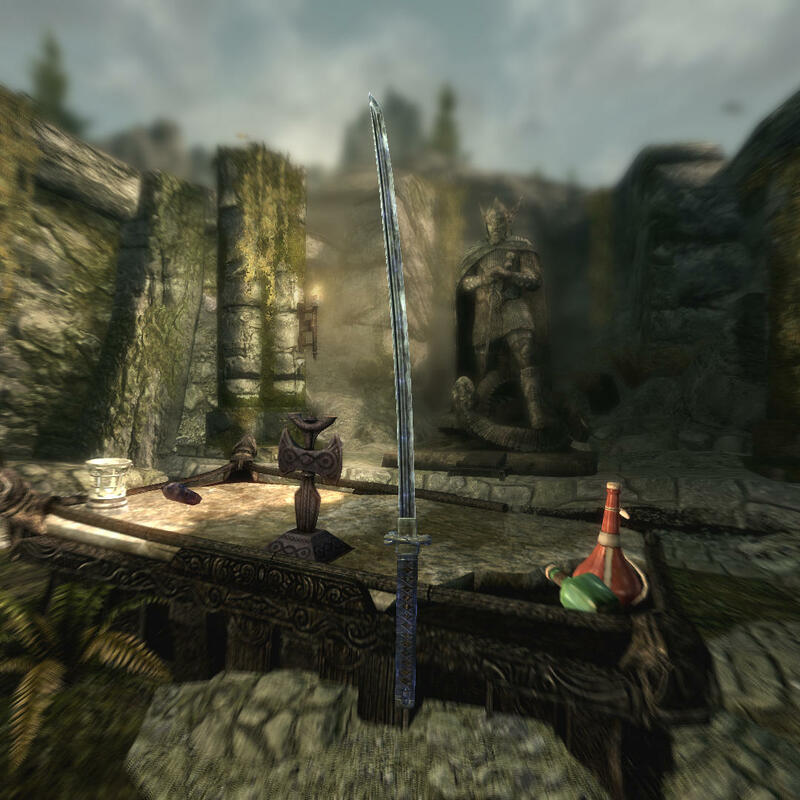 For example, the Lunar Weapons set (I am using Skyrim examples for the purposes of this blog entry, simply because it is the latest game at time of writing). While there is some nice lore around the items as a group, there isn't much interesting about individual versions. Or there is an issue with individual items being unique is one or several ways, but the item itself being completely uninteresting besides that. An example of this are the Gloves of the Pugilist. The linked item has a unique enchantment, but there just isn't much else to say about it. So it might seem obvious that we shouldn't have pages for these items, they should just be on some kind of giant table with the rest of the boring objects in the game, right? Throughout our site's history, the answer to the above question was quite obvious. Items weren't really worth that much of a fuss over. You were either an artifact, or you just weren't important. And this neglect of the huge number of garbage items worked, at least for the editors. It simplified a lot of our work, as we wouldn't have to write an article for generic helmet number 146, when we could be working on a lot more interesting pages and projects. Yet, our readers saw things differently. One of the most frequent requests I have ever seen us get is for us to give more item in-depth coverage. With these frequent suggestions in mind, I began a lengthy look at the pages we have for items. My examination of them revealed that we had two different kinds of item pages, the "generic" item page style (example, note that I have never worked on the linked to page, and have not really looked at in my time here ever), and the "artifact" item page style (example, note that I am responsible for the current set-up of that article, and am quite proud of it). The prior example is just a table of the relevant items, getting the necessary stats out and nothing else. The latter example, on the other hand, is more of a hub page, it just lists some key facts about the item, while linking to a more complete page on the subject. Obviously our readers seem to prefer the style of the second one, it provides some actual content while also allowing for some simple organization. The clearer organization of the second style is better for our editors, however. Not only does it save editor time, as bots can easily produce those tables in many cases, it is also just less redundant. The vast majority of the items on those generic pages are just that, generic. We could create pages for all of the items listed on those pages, but not only would people probably not see them, they would be nothing but cut-and-paste copies of each other with a few words changed each time. I know this would be true, considering that this cut-and-paste method is what I use when writing new item pages. It's just the easiest way to go about it, since not that much information changes each time. While I think the "artifact" style is visually impressive and the preferred choice by our readers, it just isn't practical for all cases. So if we want to please our fans by providing more item articles, while also not just producing pure drivel, a new balance between these two styles need to be found. While a lot of generic items will never have pages of their own that are anything more than a redirect, we do seem to need some more item pages. So more of the item groups, like unique items or quest items, need to be given the "artifact" makeover. And that's what I'm currently working on. While we need to consider what we will do about items on a bigger scale in the future, I am currently sorting through it and working on what I think is appropriate. Just a quick update on what I'm up to. Oh, and also have a happy New Year. A wild blogpost appeared! Nocte used Masterball! Wow it's been a while since anyone posted on the blog... So I bought myself a new computer recently, and an iPad, and a 3DSXL. With all these new toys, I've had so many games available I cannot decide what to play. Eventually I picked up Pokemon X, the latest instalment in the long-lived series. It felt like any other Pokemon game does ("Are you a boy? Or a girl? "), until I discovered there was character customisation. Character customisation is so incredibly important to me. It's fine if there is none at all (take the Legend of Zelda series, for example). But if customisation is implemented, it needs to be done WELL. Skyrim, for example, does it fairly well. If I can get my character to look at least somewhat similar to what she should be, I am content. And poor character customisation can be immersion-breaking for me - better to have it not at all than have some half-assed attempt. That's all for now. Next time I'll talk about voice acting. Well, I have decided to compile a guide on various ways to role-play in games like The Elder Scrolls, because I was bored and there is no rule saying I can't do it. Also, whereas other role-play examples I've seen say "you need this race, this skill set, this whatever", I don't do that. At no point in this guide will you see me tell you what you need to do. The choice is all up to you! One last thing… although it isn't at all necessary, I like to make my roleplaying end when I die the first time. You don't have to do it, it's just something to throw out to make it more interesting. You're much more likely to be careful under the possibility of dying. Let me conclude this by saying that while the examples and mods contained within are for The Elder Scrolls IV: Oblivion, virtually every technique mentioned can be applied to another game --albeit with different mods if you want to play modded. Defining Your Personality: Who is your character? When I start a new role-play, I like to sit down and create a backstory for the character. What motivated him to visit this new land? To leave behind his family, his friends, his home? A good character would have a motivation for what he's doing. A life goal that he wants to achieve. Of course, it needs to be moderately realistic if you want to have any hope of achieving it. Or, you could have a character who would strive his whole life to become Emperor of all of Tamriel, only to end in failure (actually, there may be a mod, although I can't remember). EX. Jarren has just arrived in Cyrodiil. He used to be a city guard for a town in Hammerfell, although bandits overran the guards and plundered the city. With his family dead, he boarded the first boat for Cyrodiil, and he has landed in Anvil. As a former guard, he can't stand to see injustice, so wants to travel Cyrodiil performing charity work for the beggars and defeat any bandits/marauders he can find. As you can see, he came with a goal, a reason to be in the province and something that you can strive for achieving. Jarren would be the kind of person who would selflessly give his life and all his possessions for the good of the people. Another thing I like to look at is hobbies. What does my character like to do in his free time? He quite obviously can't fight bandits 24/7 or he might come to resent being the good person that he is. It can be something small like having a drink in the tavern with his friends, or it could be something bigger like exploring Ayleid ruins that he finds when he is not busy. Or, is the character partial to dressing a certain way and having a certain appearance to the public? There are an infinite number of possible things that could be done, so the option is up to you how to pass the time. Jarren likes to read. His mother was a school teacher, so books were always around him, and he likes to read history. So, while he is out exploring, if he sees a good history book that he hasn't read, he will pick it up and hold on to it so that he can read while he is relaxing in his room after a hard day of adventuring. He also likes to do some hunting while he is taking a break from adventuring, but still in the field. Is there a person your character despises? Someone he hates to be around or outright wants dead? Or is there a particular food, deity, or object that he finds repulsive? Again, whatever you want it to be. Our friend Jarren dislikes lawbreaking, so he will go out of his way to find the culprit and have them atone for their sins. He also isn't a fan of ham, because when he was younger, he ate some bad meat that got his really sick, so he won't eat it or carry it with him, even for resale. Does the character has a weakness? Something that he is forever seeking, like an addiction? Perhaps he is an alcoholic or drug addict and will blow away his money on whatever alcohol or skooma he can find? Or, does he have a favorite snack or sweet tooth that needs candy? Jarren loves to eat sweet cakes. While he won't blow his money on them or spend it if he can't afford it, he doesn't mind having a sweet cake once in a while. How does your character plan to handle himself around other people? Is he friendly to everyone, or is there a race he just despises? Is he sexist or is he partial to a particular faction? This section won't be long and detailed like the previous, as everything is being left to you to decide (just like before), so I'll just cut to my example. For example, Jarren is not particularly bothered by anyone based on race, having a few friends in each of the races. He has a healthy relationship with the Guards of Cyrodiil, being an ex guard himself, but he tries to bust Thieves and he actively attempts to kill assassins, as he believes killing for profit is one of the most dishonorable crimes you can commit. Actual class creation is further down the list in my ordering, because we aren't going for power gaming and efficient classing, we are going for what would make sense for a character, which is why we've established who Jarren is first. While a warrior would stereotypically be proficient in numerous styles of combat, Jarren isn't. He is more into being agile in combat and he is very charismatic when he is in town speaking to the beggars and the general population. We will list Jarren's two Attributes as Agility and Personality. As for his skill set: The city guard have trained him tone proficient with swords and shields, and he taught himself how to move in furs and leather armor while hunting with a short bow, and all the outdoor activity has made him fairly athletic. He also has minimal field training in Alchemy, since he would have to make his own potions and poisons while out in the field hunting to ensure a merciful kill. As a guard and public face for the people, he is a decent speaker, so Speechcraft would be one of his skills. As you can see, it's probably not the most efficient class ever, and there won't be a lot of 5X multipliers at level-ups, but given his past, this is what makes sense. Of course, this is just my example, and if your character's background would dictate a more efficient character or a less efficient character, then that is your decision to make. Here is a short list of things I like to do to increase realism, as a character wouldn't strive for his goals non-stop. This is not a complete list, rather, these are examples of things that you can do to improve your experience in roleplaying. 4. Stop and sit under a tree or in a campsite when night falls and you can't reach town. I have a list of mods for Oblivion that is so large that I will probably never update my Oblivion mods page to be an exhaustive list, and there are many roleplay mods that I won't discuss in any particular detail. These are a few that I particularly like for my style of roleplay, though I also have several lore-appropriate clothes, armors, weapons, new locations and quests, overhauls of things, etc. Basically, whatever mods you want are at your discretion, and each character might dictate a different type of mod to get that perfect roleplay. Opinion: This mod adds the necessity to sleep regularly to the game, with negligence resulting in a decrease of your attributes. I like this mod because it makes the game more realistic. After all, who can stay awake for 3 years straight, resting for an hour a week to level up? Opinion: This mod makes eating and drinking a NECESSITY! If you don't have a meal every so often you enter stage 1 hunger/thirst. There are 5 stages of hunger, and neglecting to eat will result in death shortly after reaching stage 5. Opinion: These mods add more monsters/NPCs, etc, tweak the leveling and make the game more challenging. I was never a fan of Oblivion's leveling with the player. I like that it's challenging from the beginning and you have to work to improve yourself and stand a chance. Breydon Sarethi is a nephew of Councilor Sarethi of House Redoran, but he was never the fighter type, opting to do more magical studies. Rather than join House Redoran, he's joined the Telvanni. Aryon has accepted him as a willing pupil, but Athyn Sarethi is a more than a little upset that his nephew chose to become a selfish, xenophobic Telvanni Mouth. So, in order to avoid any family troubles, Breydon avoids Redoran territory as much as he can. As for his studies, he has no particular magical specialties (I use a little bit of all types of magic) and he is nearly useless with a blade (I carry a small steel shortsword as backup, otherwise I am pure magic). When he is out traveling, he wears a plain travelers robe and shoes, otherwise, he tries to dress really fancy. He isn't a fan of armor. He went to Vivec once to go to the bookstore in the Foreign Quarter, and he fell in love with the city. He always makes time to stay in town for a few days and wander around. His favorite subject to study is the ancient residents of Tamriel (he stops to investigate EVERY Dwemer ruin in Vvardenfell and every Ayleid ruin in Cyrodiil, and if he can't he remembers and hits it when he finds free time). He is an avid reader and collects all kinds of books to keep in his home, and he hates the Argonians with a passion, because they are smelly swamp lizards. (Breydon hates the swamps of SW Vvardenfell and never was a fan of those scaly tales) If he can get away with it, he will try and kill any free lizards he finds so he can rid Vvardenfell of them and have the rest enslaved and put in their places. He isn't particularly religious, but every couple of days, he will visit a Tribunal Temple for prayer and solitude. He is indifferent to the presence of the Empire. While he doesn't hate the outlanders, he doesn't go out of his way to be friends with him. Lastly, he isn't an addict (yet), but he loves to have some skooma once every few weeks. Eventually, Breydon decided that to further his knowledge, he needed to travel and see more of Tamriel, so he set off on a boat for the Imperial City to visit the Arcane University, gather books, study, and eventually explore the Ayleid ruins. He is largely the same six years later, except that he can't visit the Tribunal Temple when he isn't in Morrowind. He now just likes to relax in the shade and reflect after long morning walks. Hey, UESP blog readers! Another sporadic post from me. This time, we're rambling about Splinter Cell: Conviction, a game I find really bloody amazing. If you don't know, the premise of the Splinter Cell franchise is that there is a top secret agency in the United States government known as Third Echelon, and in every game you're the top Splinter Cell, Sam Fisher. Splinter Cells, in short, are highly trained field operatives trained in stealth and infiltration… A ghost who doesn't officially exist. I've been a fan of Splinter Cell since the original was released, and I've loved every single game. Of course, I like the stealth genre, and games like Splinter Cell and Metal Gear Solid have naturally amused me. On to the purpose of this post. I've seen a lot of people complain about Conviction. Primarily about the lack of traditional stealth-based aspects, like the ability to move bodies, have fancy gear, and perform "Split jumps", and other moves. Conviction, as a game, is a lot faster and deadlier than the previous instalments, with new moves like "Mark and Execute", where, after a melee takedown, you gain the ability to "Mark" enemies, and at the touch of a button, Fisher will begin a really fast execution of every single one of them, using his Centre-Axis-Relock gun handling. Fast and deadly. One shot is a kill every time with M&E. The biggest complaint that I've seen is that Fisher can't pick up and move bodies after he's taken them out, similar to in the other games. The most "movement" you get is if you grab someone alive and drag them around as a human shield, before you perform a take down. At the start of Splinter Cell: Double Agent, the game before Conviction, Fisher's daughter Sarah was killed in a hit and run while he was out on assignment for Third Echelon. After Double Agent, Fisher leaves Third Echelon to learn what happened to his daughter. In Conviction, he's driven by revenge in the first mission to learn about the truth of Sarah's death, then he's caught by Echelon and sent out by Grim to uncover an EMP threat against the United States president. When you think about it, would Fisher care about stealth? He's got nothing to lose after finding out that he's been lied to by Third Echelon to keep him from being compromised during the story. He's not going to be concerned about being careful. The rule book has been thrown out, and he's his own man on his own mission. Grim is an ally of convenience, essentially. He's doing this for Sarah, and he says several times in the game to Grim, "if you cross me, I'll kill you". I'm paraphrasing here, but you get the idea. These advanced stealth moves, I hear, make a return in the latest game, Blacklist, which came out recently, though I've not played it yet, and can't say on my own. At this point, I'd assume things are normal again. Fisher's an infiltration agent for the US again, his daughter's alive, and reunited with him. Honestly, I think that the Conviction story, for what the story was about, did better because of the lack of the traditional "Splinter Cell moves". While I am in the crowd who missed those advanced moves from the older games, I feel that the absence of them in Conviction was necessary to help push on the story and give that feeling of aggression and anger that Fisher felt towards Grim and Third Echelon as he was manipulated into this conspiracy that took the life of his daughter.